Some time ago these handsome bird underwent a name change. What once we all called ‘Plovers’ are now officially known as ‘Masked Lapwings’. Whatever your thoughts, I hope that you will agree that this pair make a lovely sight on the sandy shore. 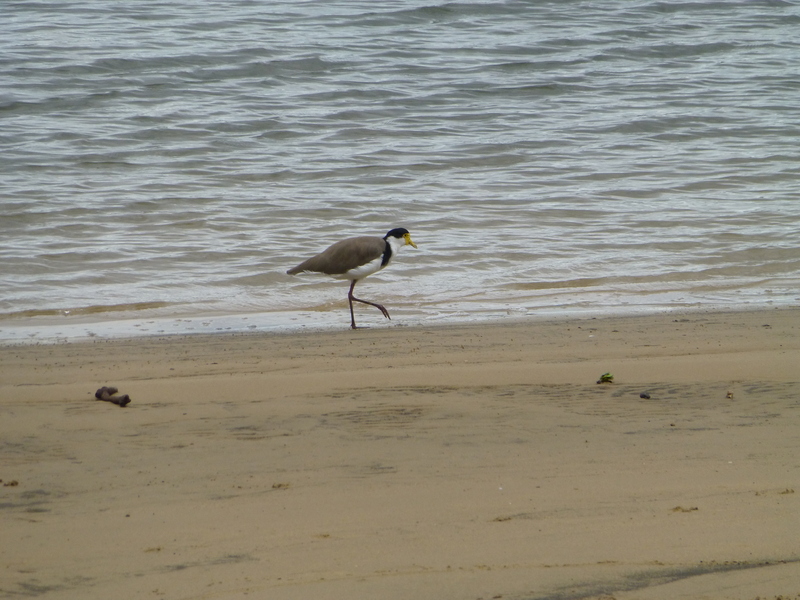 A Plover on the shore: not a common sight in the local baths, and therefore well worthy of a photograph. The Georges River and surrounds provides habit for a variety of birds. From tiny Swallows to huge Pelicans, there’s plenty to see. 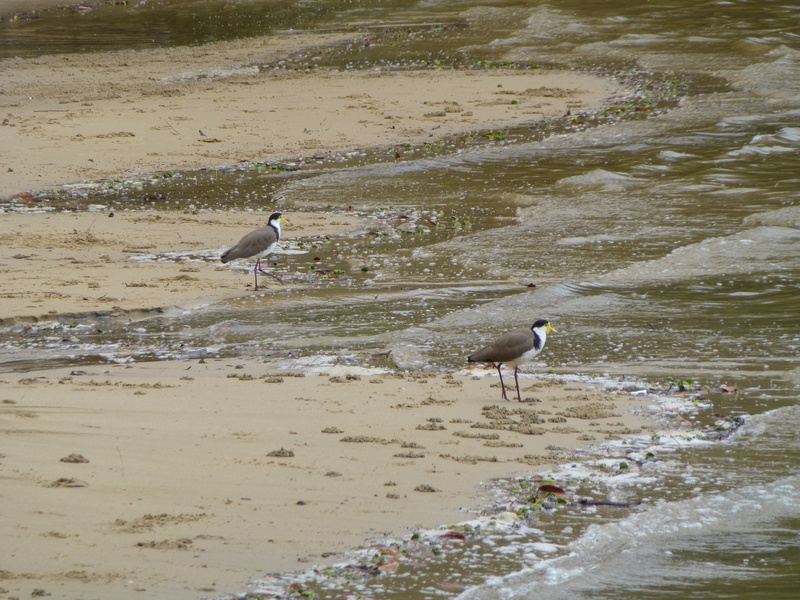 Nevertheless, as they say, variety is the spice of life, and for my money the sight of a Plover is a welcome addition.